In The Plan for Growth, published alongside Budget 2011, the Government set out a comprehensive programme of structural reforms. Work has started on all 137 commitments. supporting around a further £1 billion of investment by Network Rail. introducing a new build indemnity scheme for builders and lenders to stimulate the construction of new homes, and launching a new £400 million Get Britain Building investment fund. making 100 per cent capital allowances in the Enterprise Zones in Sheffield, the Black Country, Liverpool, Tees Valley, North Eastern, and the Humber. Up to £21 billion in a package of interventions – known as credit easing – to ease the flow of credit to businesses that do not have ready access to capital markets, was also announced as part of the Autumn Statement. An update on the 137 commitments made in The Plan for Growth, published alongside Budget 2011, and more information on the Growth Review. The National Infrastructure Plan 2011 sets out a new strategy for meeting the infrastructure needs of the UK economy. fund wage incentives for 160,000 young people to make it easier for private sector employers to take them on. The Government will also invest a further £380m a year by 2014-15 to extend its new offer of 15 hours free education and care a week for disadvantaged two year olds, to cover an extra 130,000 children. This is in line with the Government’s plan to tackle the causes of child poverty. The Times & The Daily Telegraph have reported today that the backlog of appeals by welfare claimants against the removal of their benefits is now long enough that the government has had to hire 84 new judges to deal with it. Both the Times and the Telegraph write that for the first time extra posts have been needed since 2007, when only ten Social Entitlement Chamber judges were recruited to oversee welfare appeals. In recent months 84 have been hired to help to deal with the caseload, at a pro-rata salary of £101,000 per year. Under the programme to check whether all 2.6 million people on incapacity benefit are actually fit to work about 11,000 claimants a week are being reassessed. 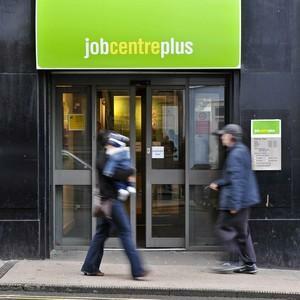 Judges have warned about the growing queue of people appealing against being taken off benefits. In 2010-11 the number of appeals in the Social Entitlement Chamber, where welfare appeals are heard, were 23 per cent higher than the preceding year and 72 per cent up on 2008-09. Don’t rob Penny to pay Paul – lone parents and young people need help to get back to work! Don’t rob Penny to pay Paul – lone parents and young people both need help to get back to work! I am not an expert on youth unemployment, and I try in these blogs to be factual and informative rather than campaign on particular issues. But, for goodness sake, and from direct first hand experience of how tough it is out there for families, I would say to the government: PLEASE don’t make the help for young people come at the expense of supporting familes with young children who receive Working Tax Credit. The coalition government’s reduction in childcare support for working families has been a big blow to lone parents. If this is combined with a cut in the uprating of WTC and direct subsidies for young people with-out any extra help for lone parents they feel that the ladder is being pulled out from under them as they are struggling to get their foot on the first rung. And remember Lone Parents attract no extra premium on the Work Programme. Everyone who is out of work needs support commensurate with the barriers they face. It is certainly right to help young people. But not at the expense of those who have children. Housing Minister Grant Shapps has announced new flexible tenancies in order to tackle prejudices about social housing and ensure that it becomes a springboard for success. New instructions have been published by Shapps which will ensure housing associations and councils are able to ensure that more people benefit from social housing for the time that they need it, rather than a home for life . “For too long social housing has been seen by many people as a byword for failure, a home for life in a dead-end street. I want to restore pride to social housing, so a social tenancy is once again seen as a launch pad to fulfil aspirations. Tenure reform: to allow social landlords to issue flexible tenancies, subject to conditions, to make better use of existing and future stock. In implementing these reforms, we will respect the rights of existing secure and assured tenants. Mutual exchange: to enable access to internet-based mutual exchange schemes to give tenants who want to move the best possible opportunity of finding a match. Tenant involvement: to strengthen landlord accountability to tenants and support the Tenant Cashback model, providing new opportunities for social housing tenants to get involved in commissioning repair and maintenance service for their homes. Rent: to make changes to reflect the introduction of the Affordable Rent model. Quality of Accommodation: to clarify that providers are expected to maintain their stock at a decent level.